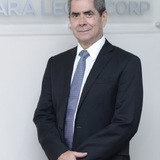 Carlos Hernan Robles graduated with his Masters Degree in International Banking Law in 1988 from American University. Mr. Robles became an attorney in 1982, and has over 35 years of professional experience working as a partner for Lara Legal Corporativo. Carlos feels that one of the keys to his success is working and studying hard and having passion for what you do. One of his greatest accomplishments is being appointed in the Latin American Banking Association. He is also a member of a nonprofit foundation that helps inmates after they are released from prison. It helps them to become self sufficient, and be productive members in society. In joining the WANA Carlos is looking forward to connecting with like minded professionals in order to share ideas, open new opportunities and gain exposure. Juan B. Flors-Viu is a semi-retired professional who has previously worked as both a chemical engineer and a financial advisor. After graduating from Georgia Institute of Technology with his Bachelor's degree in Chemical Engineering, he wanted to supplement his degree by getting an MBA as well. Since 2006, he has held the title of Investment Advisor, giving him 11 years experience in his field. Prior to that, he worked for MCI until it became bankrupt in 2002, thus terminating the position of General Manager that he held. Crucial to Juan's success is his inability to give up, and always being on the go. He also attributes his success to taking calculated risks and trying new things. Among his proudest accomplishments are projects that he oversaw that thrived with his assistance. For instance, he was once in charge of a project to build a new processing plant wherein he was an effective, innovative leader. In his spare time, Juan volunteers with the KIWANIS International Club which is the avenue by which he completes most of his leisure activities. At age 78, Pablo shows no sign of retiring. Pablo Anibal Salazar is charismatic, very positive and sharp witted. Pablo started his business in 1973 in Ecuador. His company has 2 offices in Ecuador & Michigan and currently works with the major Food Industy companies.. Pablo lived in Chicago for 15 years, where his career began with at that time was the largest can making company in the world, American Can Company. He believes in 4 things for absolute success: find a beautiful wife and keep her happy, drink a glass of good wine daily, retain your clients and exceed their goals and keep plenty of money in your pocket. Pablo also has 50 years experience working for the Food industry as a Scientist and Manager Pablo credits the needs of his clients and his education at the University of Chicago as the keys to his success. In regards to his greatest accomplishment, in his own words "the best is yet to come, I have so much more to do!" O'neill James was a shy child and somewhat anti social, when his first child was born in 1999, O’neill decided that he would enter into the Hospitality Industry to overcome his social awkwardness. Mr. James graduated in 2008 with a Bachelor Degree in Hospitality Management. Now an experienced Hospitality and Customer Relations personnel working part-time with various catering companies and coffee shops, O'neill is a hotel restaurant supervisor at a small family business hotel with 100 rooms in Jamaica, he continues to strive for academic success towards eventually acquiring a Doctoral Degree. O'Neill's love for baking is the reason why one day he will hopefully open his own bakery and perhaps be a professor in the same field that taught him to reach out side of the box. "Recognizing Music as an universal language that has not barriers or limitations, guitarist Mike Arroyo utilizes the Jazz genre to worship God." Mike has over 25 years of experience as a Electronic Technician, Pastor, and Musician. He received his Bachelor of Science from Liberty University, Virginia USA in 2014, Art in Music from Interamerican University of Puerto Rico 2004 and Electronic Technician from Technical Institute of Puerto Rico 1985. Mike worked as an Electronic Technician / Field Service Engineer for 22 years for companies as Motorola, DuPont and Dade Behring. In the 2006 he was asked to be a Pastor for his community were he would follow in his Father's footsteps who was also a Pastor. Mike always had a love for Music every since he was a child and has combined being a Electronic Engineer, Pastor, and Musician. As a Musician Mike has won numerous awards including 2005-2006 Music Award along with five recordings in jazz. 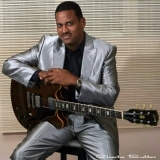 Mike has traveled globally with his music were he has been listed in a number of Jazz festivals and Concerts. In the next 3-5 years Mike is looking to keep sharing his music around the world, preaching the Gospel and become the Director and Pastor of a worship band of a Religious organization in charge of a chapter. The key to Mike's success is due to his perseverance and determination to help other along with enjoying his music. To God be the Glory! Blessings and Joy! Maarten Brandt graduated with his Master's in Law from Vrije Univsiteit Amsterdam in 1978. Maarten decided he would rather get into sales and interact with others. He has been working at HP for about 30 years, where he had numerous positions, Sales Director being one of many. Maarten believes his hard work and having a passion for your career is the key to being successful. Maarten is now retired and he resides happily in Amsterdam where he enjoys driving classical cars. Curtis Taylor worked as the of Wildlife Resources in West Virginia Div. Of Natural for over 40 years. He oversaw the wildlife department of West Virginia and held numerous leadership roles. Curtis is retired but he still volunteer for dis advantage kids in West Virginia. Some of his specializations include wild turkeys', bears, and fish. Curtis was the first person to trap and radio collar Oscellated turkeys in Tikal, Guatemala with 3 other UT Grad. Curtis has been published in many magazine and books. Curtis received his Master degree in Wildlife from the University of Tennessee. He has held leadership roles in both the Northeast and Southeast Associations of Fish and Wildlife Agencies. Curtis prides himself on his rigorous work ethic and dedication. He also strives to strengthen relationships between humans and wildlife. In his spare time, he enjoys hunting; fishing and gardening. Ms. Judith C. Adams, MS LP. NBCC , is the owner and directer of Center for Life Coaching and Counseling, LLC she specializes Psychotherapist, counseling, Substance abuse, Trauma counseling and juvenile counseling. Ms. Adams received her Master of Science in Human Services from Bellevue University and her Bachelor’s of Arts in Psychology, Clinical, Counseling and Applied Psychology from the same college. Judith utilized her experience and education and founded her business ten years ago; she has 8 therapists and 4 staff and continues to expand into other states. She has dedicated her life to helping others in under privileged communities by guiding them through all of the physical and metal issues. Judith prides herself on her rigorous work ethic and dedication to her patients she strives to strengthen the bonds between the community by ensuring the low income communities get the proper medical treatment. Company - Keller Williams Realty, Inc.
Tony Coloe is a distinguished and accomplished professional with over 30 years of professional experience. After spending six years in the military, Mr. Coloe obtained a bachelor’s degree from Manhattanville College in Liberal Arts. Upon graduating, he went on to have a successful career in several industries including medical software, manufacturing, and real estate. Tony Coloe worked in the medical software industry for over 27 years where he was responsible for several key components of the business including developing sales pipelines, training and developing a team, account management and presenting at industry seminars. Professionally speaking, Tony is currently a Realtor serving the Pennsylvania, Delaware and Maryland residential areas. Tony originally entered into the real estate industry on a part-time basis with the main intention of assisting his wife in his spare time. However, the job evolved and grew into a fulltime business that they both participate in. In the next three to five years Tony is looking to continue to cultivate his business and expand his team. In joining the WANA, he is looking forward to reconnecting with classmates, networking, and gaining additional exposure. Tony contributes his success to his ability to relate well to others, his understanding of business development, and his vast experience business experience. Company - Banco General, S.A.
Brian has been in the Engineering field for over 25 years. He has been working for MIC Institute of Technology for over 30 years. Brian also worked with the Global Environment Facility GEF as the regional Focal Point for the Caribbean represent a network of environmental NGO's on environmental matters affecting the Caribbean. Brian received his Masters Degree in Industrial Innovation, Entrepreneurship and Management from The University of Trinidad and Tobago in 2008, where he won the University Business Plan Challenge. He is presently pursuing a DBA from Edinburgh Napier University. Brian has also written and presented at seminars and conferences on Business Incubation. He served as the Vice President and President of the Caribbean Forest Conservation Association for 15 years. Brian was inspired to go into engineering because he enjoys designing and creating new things. He attributes his success to his passion for engineering, helping others, and his drive to always improve things. His goal is to be a consultant working with the government to make companies more efficient and productive. Brian enjoys golf, traveling - he's been to over 35 countries enjoy family time. He volunteers as the Chairman of his church rebuilding committee, where he project managing the rebuilding of a Catholic church he attends. Specialty - Project Management; Professional Development. Dr.Tonya M Peterson has been a leader in her field for over 25 years and has published work in prior years and is coming out with a new book in 2017. She has numerous certifications and is considered an expert in the areas of project portfolio management. Dr. Peterson is professionally expanding within coaching and consulting, she is an experienced speaker, instructor, and author who is currently working on future publication of more books. She is proud to have introduced new methodologies, process improvements, and strategic planning in her extensive experience working in diversified modalities. 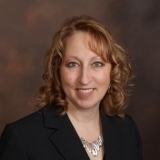 Dr. Tonya Peterson has received numerous awards including PMI Student Paper of the Year, her experience in higher education and professional life has impacted the various companies Dr. Peterson has worked. She has great leadership, has received leadership awards as well and is extremely immersed in publications. Cardinal Stritch and the University of Wisconsin are two of the Universities Dr. Peterson received her credentials, among others. She attributes organization and a desire to impact positive change towards her key to success. Dr. Peterson is a member that exemplifies professionalism and true agent of change. Writing, speaking, process improvement, portfolio management can be a wealth of knowledge that can be shared with alumni and members alike. 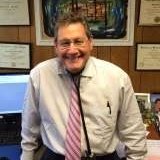 Steven L. Schiz, MD is a successful Board Certified pediatrician with 36 years of experience in healthcare and pediatrics, and is affiliated with Children's Medical Group of Greenwich. His main responsibilities involve seeing pediatric and adolescent patients and running a busy primary care practice. While his practice is his main profession, Dr. Schiz also works as an Executive Consultant for Rodan + Fields as a side business. His key responsibilities in that role are marketing, merchandising and building a team. Steven earned his MD at Columbia University College of Physicians and Surgeons in 1980. He conducted his Residency at Children's Hospital of Pittsburgh between 1980-1983, and graduated with a Bachelor's in History from Hamilton College in 1976. Dr. Schiz is licensed by The American Board of Pediatrics, and is part of The American Academy of Pediatrics and the Fairfield County Medical Association. Originally, Steven wanted to be a surgeon, but was drawn to pediatrics in medical school when he was told that he didn't have a surgeon's hands, which turned out to be sage advice. So he decided on pediatrics and has thrived in the field ever since. Going forward, Steven will continue to focus on both his practice and growing his business with Rodan. He is keen to network, enhance his personal brand and increase exposure. The key to his success over the years has been hard work, willingness to listen to advice, being open minded, and not having too big of an ego to say that you can always learn from others. On occasion, he will speak on a local radio station or hospital. When he's not working, Steven enjoys working out, sports, jazz, and spending time with his wife and friends. They enjoy going out to restaurants and to hear live music. Steven also coaches his youngest son's baseball team and donates to an array of different charitable organizations.He is blessed to by married to Angela a nutritionist and Rodan and Fields partner, and to have loving children. Rogers Wod'Olobo Okot-Uma graduated with a Ph.D. in formal studies from Delft Univesity, class of 2009. Rogers had a background in profiling and was among international organizations. It was during this time that he decided to get his Ph.D. in formal systems. He is able to teach full-time and is hoping to retire in the near future. In his profession, Rogers enjoys teaching students math and physics at a level 6 form. Rogers is an expert in information and technology systems. Currently, he works as an independent information technology and services professional. He is actively involved in his community and understands that through knowledge, communities become strong and endure. Along with teaching, Rogers is also passionate about writing and his causes. Hege Bakke-Alisøy has had a prestigious career, researching in Norway, as well as Greece. She has always been fascinated by the international aspects of her work. Hege has a strong understanding of the importance of communication, respect, and networking in order to expand in the research field. Hege would like the opportunity to work abroad; however, due to family responsibilities, that has not yet become the reality. Although she has had some setbacks in her expanding, Hege will continue to advance research in her field and share her experience on a global level. Hege is determined to travel internationally and despite working in Greece, the expansion aspect a research developer has always intrigued Hege. Hege had her work published in 2015 by the Norwegian Institute and the research has been recognized. Although the great work is not based on any level of recognition, Hege continues to pursue her aspirations. Hege will continue to share and be fascinated by all aspects of the research community.